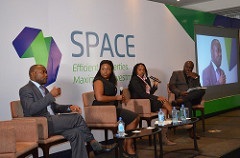 SPACE is a two-day business conference for the real estate market in sub-Saharan Africa. 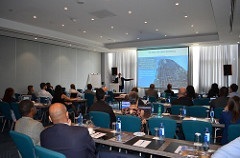 It explores the potential of efficient building investment within the African market. This event is for real estate investment professionals, owners, and developers to explore the ROI of efficient buildings through maximising building design, architecture and managing energy, water and waste management systems. Real estate is booming across Africa – an estimated 50% of all Africans will be living in cities by 2030 – a number close to 900m (a growth of 500m in the next 12 years). Attracting and retaining customers and increasing pressure to manage the operational costs of a building are going to be crucial in the value of a project. Details of SPACE 2019 will be announced soon. "The Summit effectively ties together real estate investment, government initiatives and operational developments to offer a new perspective for delegates." 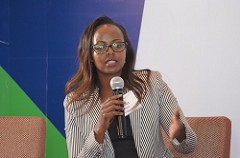 "It is the only investment conference dedicated to the African continent that connects key players, aspiring stakeholders and many more." THUKU KIMANI, W HOSPITALITY GROUP"